Creating compelling content has the potential to build your brand, drive traffic to your law firm website and generate new business leads. Any legal marketer who’s attempted to create a content marketing program knows that creating great content is very time-consuming – just one blog post can take hours to write. And you can’t stop at one post; content has to be produced consistently and constantly. 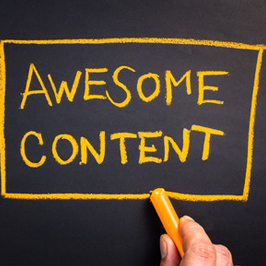 How can you maximize the ROI on your content efforts? The answer is to repurpose content strategically. Repurposing takes content, research or ideas and finds multiple ways to reformat and reuse them. It’s stretching your creative and content work to produce unique blog posts, ebooks, guides, infographics, guest posts, social media posts and more. Repurposing has multiple benefits. Here are a few to consider. Make the most of your efforts: Creating content is labor-intensive. Repurposing one piece takes much less time than constantly creating new content. Your best content goes to work for you again and again, without you having to create something new. Reach new audiences: Content that works for one audience may not work for another. Through repurposing, you can make sure your content resonates with a variety of audiences by creating multiple pieces of content based on the same topic, yet written for the preferences of different demographics or verticals. The more variations you create, the more audiences you’ll reach, and the greater chance your content will be shared. Drive website traffic: Great content can funnel more traffic to your website, strengthen your brand’s reputation and encourage more web visitors to convert to regulars. Links back to your website, and the resulting increased traffic, will help with SEO. Great content on your firm’s website also increases the probability that other sites will send traffic to your content. Note that not everything should be repurposed. Only repurpose content that continues to be of value and relevant over months or even years. There’s more than one way to repurpose your blog content. Give these a try. Republish: You’ve written your blog post, and it has been posted on your law firm’s website. A great way to get more people to see your work is to get it into other websites. Look for opportunities to be a guest writer for law journals or industry publications that focus on your field of experience. Social media: Take a tiny snippet or a small excerpt from a blog post and turn that into a social media post. The idea is to build awareness for your brand by adding value to your social media profiles. Including an image, whenever possible, will help make your posts stand out. Infographics: Infographics can make a big splash. They’re informative, easy to read and easy to share. Take the main points from your blog post and use an infographic maker like Canva or Venngage to create the image. SlideShare: Attorneys are continually giving presentations at conferences, events and seminars, and SlideShare is the perfect place to repurpose their presentation materials. Written a blog post? Convert it into a slide deck and upload. With more than 70 million unique visitors a month, SlideShare dominates the content marketing world and is a great way to generate website traffic and create new business leads. Whitepapers: Expand your blog post into a whitepaper or ebook that can be downloaded from your law firm’s website. The whitepaper can be used in your email marketing and lead generation efforts as well. These publications enhance your firm’s position as a thought leader in the legal profession. Webinars: Another great way to boost traffic and repurpose content is through webinars. By speaking with an audience directly, you establish a much stronger relationship, which results in them becoming advocates for both you and your firm. Record the webinar and you have video and audio clips you can share across multiple channels. Video: Create a video on the same topic as your blog post and upload it to YouTube or another video-hosting service. A video blog post can make a cold topic seem livelier by allowing for a more personable and personal approach where you can convey the subject matter directly to an audience. By repurposing your content, you can turn one great piece into numerous others, thereby increasing your content marketing ROI. Also, do not forget to analyze results by tracking performance. For example, here at Jaffe, we track Newsstand article performance over 8 weeks to analyze what other channels drive traffic beyond our email marketing. Want to learn more strategies to create efficiencies across your legal marketing efforts? Contact me, Jennifer Faivre, at jfaivre@jaffepr.com.